Avanti's team of employees who will be based in the Johannesburg offices. United Kingdom-based satellite operator Avanti Communications Group has launched in SA and has invested $143 million (R2.1 billion) in its local operations. Avanti provides Ka-Band satellite data communications services to a quarter of the world's population, across the UK, Europe, Middle East and Africa, through its HYLAS satellite fleet and partners in 118 countries. Speaking at the launch event in Johannesburg last night, Christian Georgeson, chief marketing officer of Avanti Communications, explained the African expansion is underpinned by the company's commitment to enabling quality connectivity through key partnerships in SA and across Sub-Saharan Africa. "We are decentralising from the UK and bringing our knowledge to SA because this is a country very close to our hearts. It is a progressive country in terms of understanding communications requirements, there is an acceptance of digital and an understanding that digital is an economic enabler in both creating digital citizens and in creating the large corporations that may want to trade globally from this country. "We will have secondary offices in Nigeria, Kenya and Tanzania. To date, Avanti has invested over $897 million (R13 billion) in Sub-Saharan Africa, with $143 million (R2.1 billion) alone in SA," he explained. Avanti launched its third satellite, HYLAS 4, in April. It will operate with 64 fixed and four steerable beams from five Gateway Earth Stations to extend the coverage to West and Central Africa for the first time. Gateway Earth Stations, according to the company, ensure 99.8% availability, with dedicated gateways in SA, which enable data to land in-country, providing better connection speeds than fibre. "HYLAS 4 provides us with full Sub-Saharan Africa coverage, with SA being the central hub and the gateway of the region. This development will provide affordable high-speed satellite broadband, unlocking the digital potential of enterprises, mobile operators, schools, healthcare institutions, homes and SMEs across Sub-Saharan Africa, especially in rural and remote areas where terrestrial networks are limited," Georgeson pointed out. 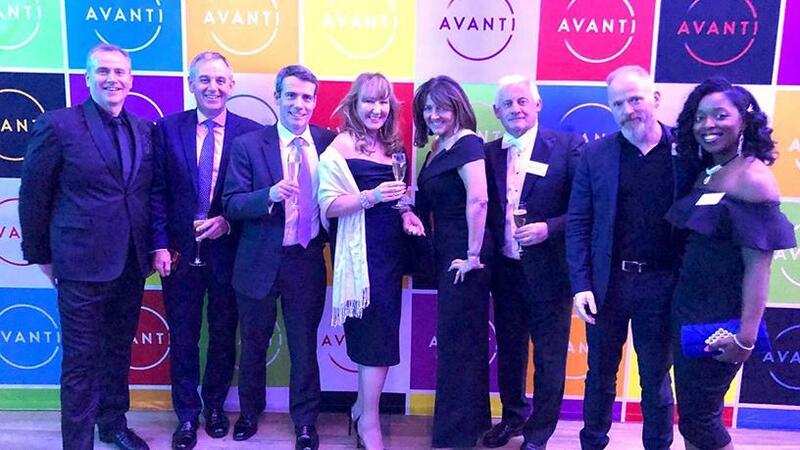 Avanti's South African presence comes as the company unveils its new corporate identity. The satellite operator recently appointed its sales director and country manager for Southern Africa, Brenden Pronk, and it has established a team of employees who work from its Johannesburg, Fourways, offices. "While we have had presence in Johannesburg and Cape Town through partners, this time we have established new offices and we are growing our team of 15 staff members by building new teams and functionality; from technical teams to the sales capability to the marketing capability. We are looking to create more employment opportunities in the space, ICT, engineering and communications sectors." The addition of HYLAS 4 will see Avanti complete its coverage across Africa, in addition to having the capability to cover markets across Latin America. These markets can be reached through the satellite's four steerable beams, which can be placed anywhere across the earth's disk visible from the orbital slot of the satellite, according to the satellite operator. Earlier this month, Avanti announced its partnership with local Internet service provider, iWayAfrica. The agreement will see the deployment of high-speed satellite broadband services for consumers and businesses across Sub-Saharan Africa, through the HYLAS 4 satellite. Pronk explained the company aims to increase its partnership base in SA: "Avanti aims to bridge the digital divide by enabling and facilitating connectivity with existing service providers to cover the gaps that exist in the industry. The bigger picture is establishing partnerships that will create fully connected societies for the benefit of people, communities, SMEs and large enterprises alike." According to satellite services provider Q-KON Africa, satellite has proved its worth as a connectivity medium in areas where there is no fixed-line infrastructure. While it has remained a niche solution as a result of the logistics involved in the installation and management of the dishes, new technology is promising to bring satellite connectivity to new markets that haven't been able to use satellite links before. In January, United Arab Emirates-based satellite operator Yahsat launched its third commercial satellite, Al Yah 3, expanding the company's commercial Ka-band coverage to 19 markets in Africa, reaching 60% of the continent's population, as well as providing coverage to 95% of Brazil.